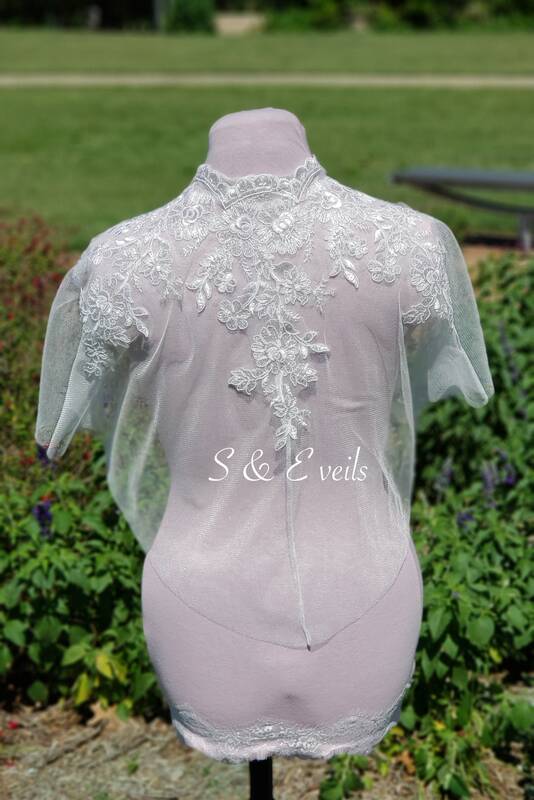 If you're a DFW bride, please schedule an alteration appointment by clicking on here. 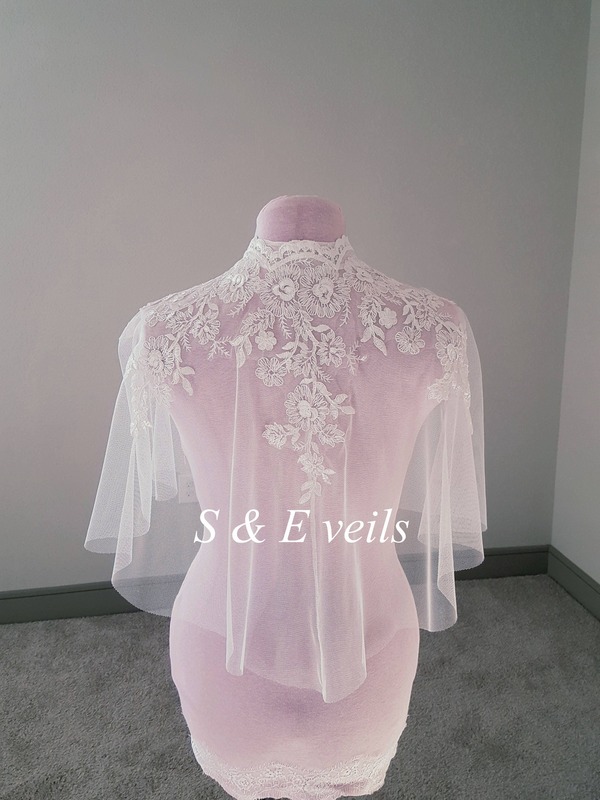 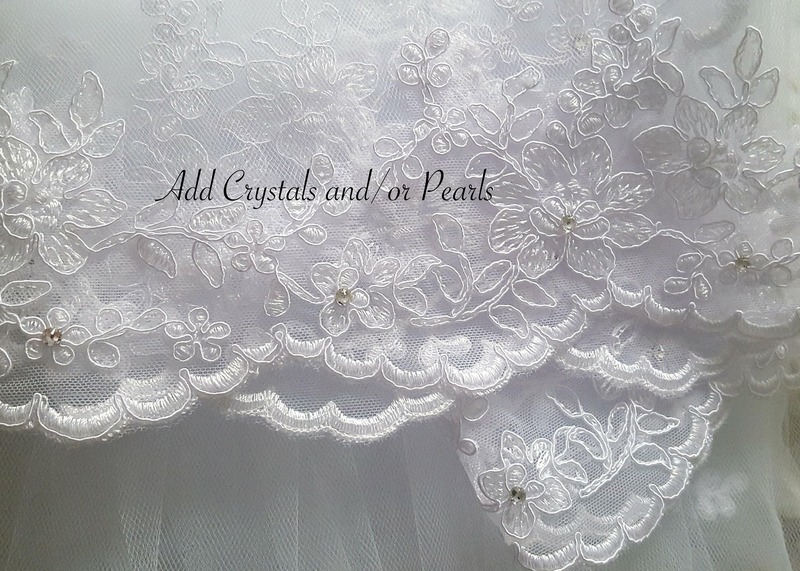 This beautiful short lace cape is made out of English net and it's an alternative to a veil. 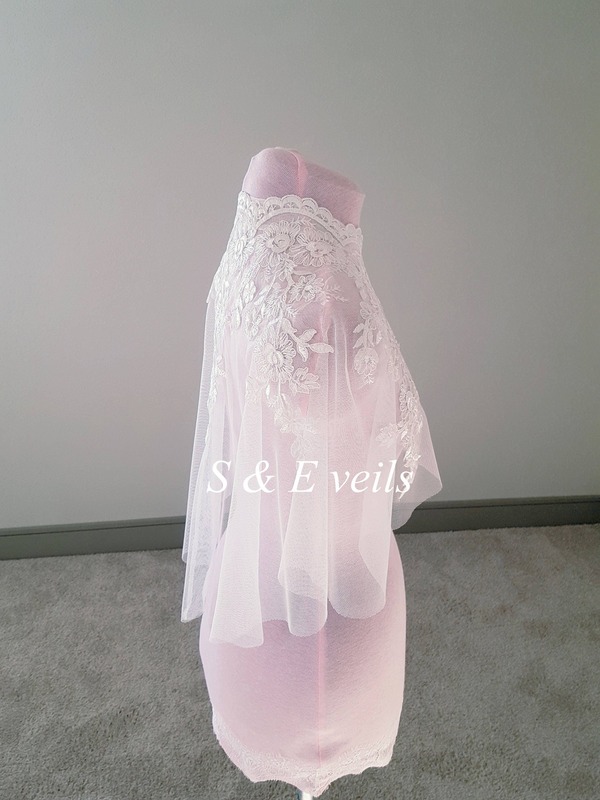 If you have any questions about this veil, just hit the " Ask a Question" button next to the price and I will get right back to you! 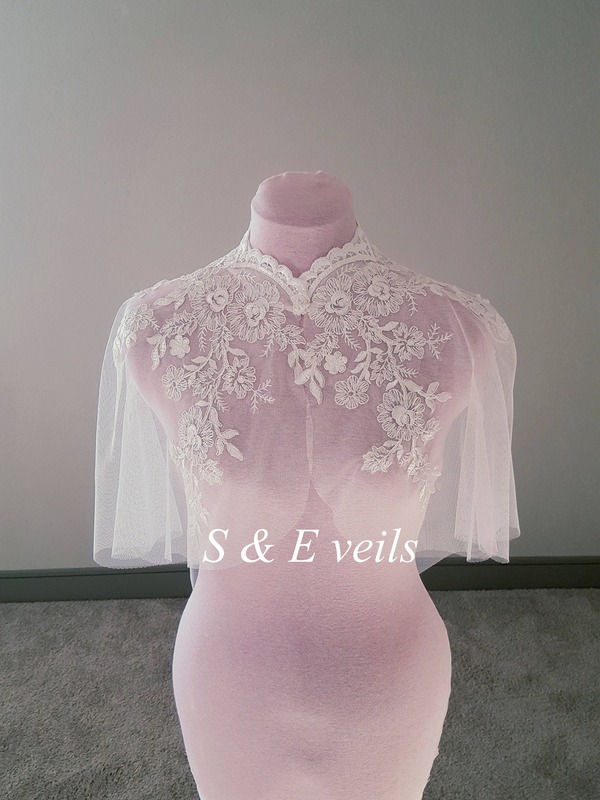 ￼Thank you for shopping at S & E Veils. 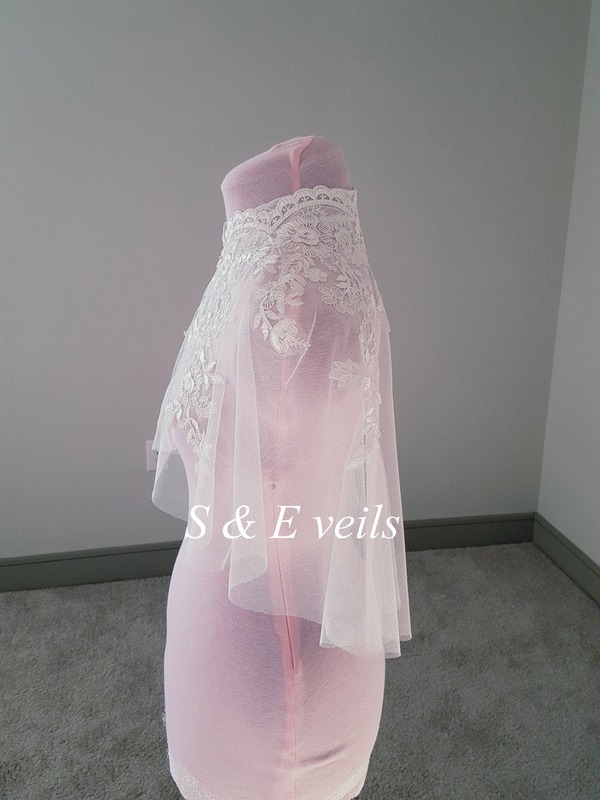 Veils can be custom made to your desired length and width. 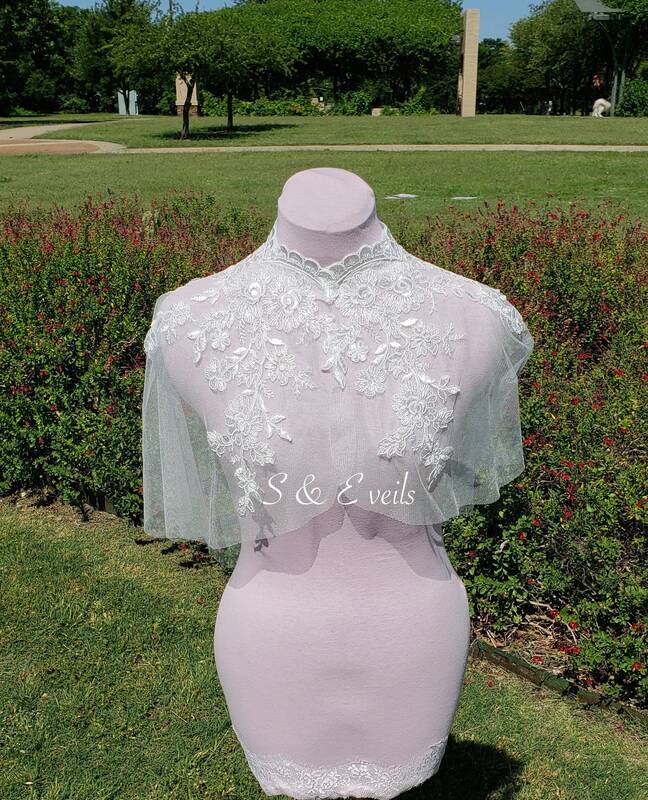 You'll receive them with your order. 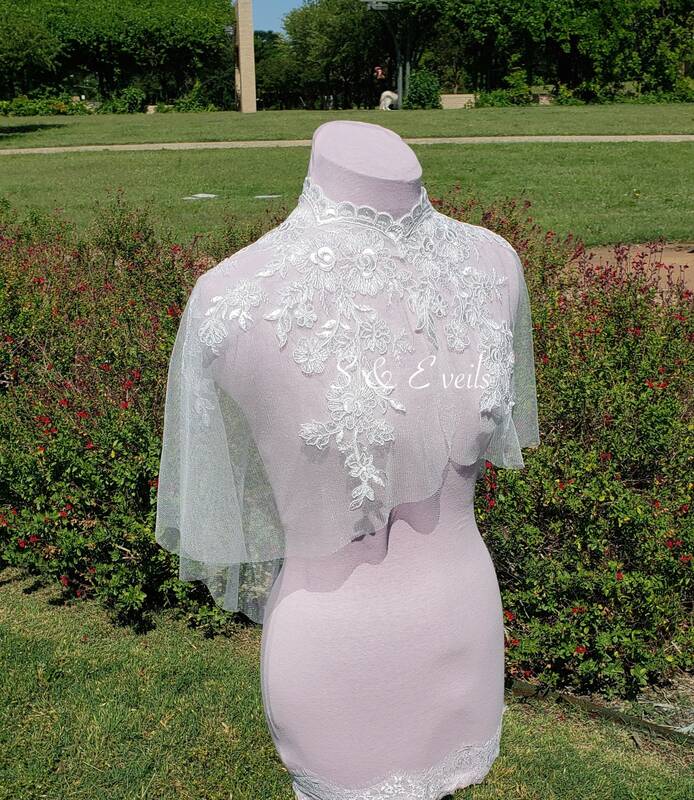 Currently, it's 1-10 business days. 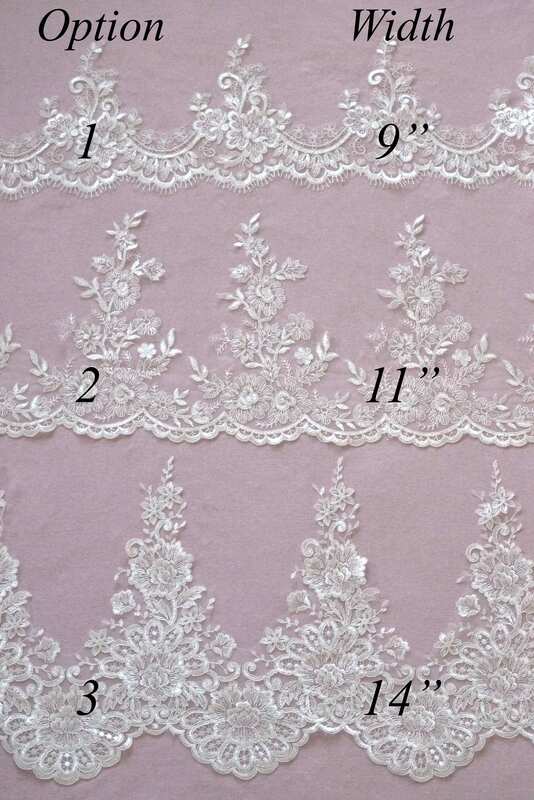 You'll find more accurate information during checkout.